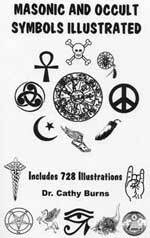 Subtitle: Using the method of numeric calculation utilized by all occultists, we can now reveal that the Skull & Bones logo is a typical "Magical Symbol" whose inner meaning is "666". Once and for all, we have concrete, public evidence that Skull & Bones is the Black Magick secret society serving Satan and striving to produce Antichrist -- just as we have been saying all along. But, one of the greatest of all God's creations whom occult pagans worship is the wonderful system of numbers. Pagans really and truly believe that numbers -- mathematics -- contains inherent spiritual and temporal power. We cover this concept thoroughly in NEWS1756, noted above, and we encourage you to read it in its entirety, for it demonstrates that the attacks of 9/11 contained a bold "Illuminati Signature". For the purpose of this article, please allow us to quote just a portion of NEWS1756, for it shall set the stage to understand this article. Listen to the explanation of one of history's greatest Satanists, W. Wynn Wescott, who was extremely influential in the latter part of the 19th Century. Van Buren finalizes the occult belief in the power of numbers -- they are the thoughts of God! The Satanist always places great faith in the inherent power of numbers, especially the Black Magic Satanist. As we have stated in earlier articles, Daniel 8:23-25 tells us that the religion practiced by Antichrist is Black Magick; further, Revelation 17:17 tells us that the final 10 kings are of the same mindset and religion as Antichrist. Thus, we were not surprised that both Presidents Bush are Black Magic practitioners from the Skull & Bones Society. Therefore, as we progress through the planned events designed to stage Antichrist on the world scene, we should expect that such events shall be carried out "by the sacred numbers"; indeed, this expectation is fully fulfilled in the 9/11 attacks, which were carried out according to the number "11" (NEWS1756). 1. Is the timing of any plan of action in accordance with the astrological lineup of the stars, moons, and planets? But, the Satanist does not only carry out his planned actions according to the sacred numbers, he designs his all-important symbols according to occult sacred numbers, as you shall see in a few moments. The Satanist reveres certain key numbers as sacred. Further, they add, multiply and sometimes even divide numbers to get the "extended sacred numbers" they desire. Let us review the six most important numbers revered. 1. Three (3) is the first sacred number, the first perfect number (Westcott, p. 41). Three represents the Pagan Trinity." (Westcott, p. 37). It is represented geometrically in the triangle, and spiritually as the Third Eye Of Hinduism. Occultists will multiply and add three to other sacred numbers to create new numbers. However, they also group threes in two's and threes, because they believe in the principle of "intensification", i.e., that greater power is achieved when a sacred number is grouped. In the case of three, greater intensification is achieved when it is shown as 33, or 333. 333 + 333 equals 666. Occultists have used 333 as the hidden symbol by which they present the more offensive number 666. When the details of an event are so arranged as to contain certain sacred occult numbers or numeric combinations, this is literally an occult signature on the event. Mathematically, 666 can be created when three pairs of threes are added. Thus, (3+3) + (3+3) + (3+3) = 666. Now, eliminate the parentheses and the plus sign, and you have 33 space, 33 space, 33, representing the number 666. 2. Six (6) is the next sacred number, representing the number of the soul of man (Westcott, p. 66). Secret Societies use the number "6" to represent their "Perfected Man", that person who has perfected himself through participation in the various prescribed rituals and ceremonies of the Lodge. This belief shows the omnipotent power of our Almighty God, as this occult belief parallels Revelation 13:18, where God assigns "666" to man and to the beast. Six is also believed to be "all-sufficient". This parallels Biblical teaching, which states that man's great sin is pride in himself. Now, consider an instance in which the sacred number "21" was achieved through addition, not multiplication. When Adam Weishaupt formed the Masters of the Illuminati, he arranged the timing of the event by arranging the numbers in a manner which would add to more powerful numbers. He chose May 1, because May, month #5, added to the first day, equals 6. Weishaupt chose 1776, because the four numbers of this year add up to 21 (1+7+7+6 = 21). Further, the number 6 + 21 = 27, another number of power, because it is formed by the multiplication of 3x9. This date was very carefully chosen by Weishaupt; he believed the greatest Plan is doomed to failure if it is not carried out in the most numerically advantageous time. The triple nine (999) is utilized to represent "666", because it is simply the inversion of "666". 5. Eleven (11) is a sacred number. As Wescott explains, above, "... so 11 is the essence of all that is sinful, harmful, and imperfect." [Westcott., p. 100] Thus, while 11 is very important, multiplication's are also important, such as 22, 33, 44, 55, 66, 77, 88, and 99. When eleven is multiplied by the perfect number 3, the number 33 is produced, a number of tremendous occult importance. In 1933, Adolf Hitler and President Franklin Roosevelt came to power. Both these men were committed to the establishment of the New World Order, and their actions impacted humanity greatly. It was also in 1933 that the First Humanist Manifesto was issued. Do you see how Satan manipulated world history to produce three New World Order events in 1933? Thus, a powerful 333 served as a framework for world events in that year. Now that you understand that occultists will undertake no major event until and unless they arrange the details of the event according to "sacred numbers", let us now examine a related subject -- how to hide offensive numbers from "profane people" (persons not in the occult) while simultaneously revealing the truth to the practicing occultists throughout the world. This art is called "Magical Symbols". Thus, we know now how Freemasonry and all occult secret societies treat their precious symbols -- all of which they consider to be "magical" because they conceal an inner meaning for the Adepts and Sages will hiding such meaning to the Initiate and to the "profane", i.e, the person outside the secret society. What are the two important factors which Pike revealed in his statement, above? 2. All symbols contain a hidden meaning "usually cunningly hidden behind a form". 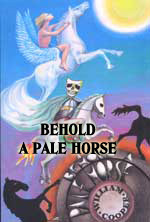 An additional factor which further hides the inner hidden meaning is that people easily believe the shallow lie they are told, and do not want to hear of another meaning; their minds are made up and they do not want to hear another meaning, even if it can be proven that this meaning is true. Once a person's mind has become "propagandized", they do not want to hear the truth, and resist it mightily. 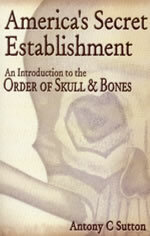 We shall concentrate our study on this Masonic Skull & Bones symbol, since "a picture is worth 1,000 words", and since all occultists place such a huge emphasis on communicating with other Adepts through symbols, while simultaneously hiding the truth from the Initiates and the "profane", i.e., people who are not members. Since the majority of Cutting Edge subscribers are not members of a Masonic Lodge, you are all "profane" in the minds of all occultists; therefore, no secret society member wants you to know the truth of this symbol. Even when you do hear the truth, secret society people, or people working for them, will attempt to impeach the truth you have just heard, or impeach the credibility of the person delivering the truth. "What is the significance of the '322' in Chapter 322? William Russell imported the society from Germany and so it has been argued the 322 stands for '32 (from 1832), the second chapter, of this German organization. Possibly a chapter 320 and a chapter 321 may exist somewhere; and 323 is the designation of a room within the Skull & Bones temple at Yale." I tend toward the latter interpretation of the origin of the number "322". Take note that the most logical origin of the number "322" is from "a Greek fraternal society dating back to Demosthenes in 322 B.C". A GREEK secret society! Keep this fact in mind. As we continue to examine this Skull & Bones symbol, remember that it is a "Magical Symbol", specifically created to hide an inner meaning so Adepts and Sages will understand, but the meaning will be deliberately obscured to the "profane", i.e., the person not a member of any secret society and/or coven. Let us examine the Skull & Bones "Magical Symbol". The first fact we want you to focus on is the reality that the human skull is sitting on an "X" -- formed by crossing the two human bones. I spoke with Dr. Burns at her office when writing this article. She confirmed that, since Masonry has replaced the cross of Jesus with an "X" representing their own 'christ', that 'christ' of Masonry was the Biblical Antichrist; therefore, the "X" in modern Freemasonry represents Antichrist! Thus, the "X" in the Skull & Bones symbol represents the Black Magick Masonry symbol for Antichrist. Once you accept this meaning, you can understand why President Bush (Sr.) and President Bush (Jr.) are so adamantly thrusting America into fulfilling the Plan of the Illuminati to finalize the movement toward a global government, economy, and religion, so that the Final Birth Pangs War can begin and Antichrist can finally stride on to the world scene. This world system has been called the "New World Order" since May 1, 1776, when the Masters of the Illuminati was formed. Now that we know the "X" represents Antichrist, let us examine how it represents the numeric value of "600"! Thus, the Greek language was established, well respected and even revered centuries before Jesus Christ -- by both secular and mystic scholars. Each Greek letter also has a numeric value. You can see all numeric equivalents in the "Greek Alphabet". Scroll down to the Greek letter "X" and you will discover that its numeric value is "600"! Thus, the "X" on which the Skull & Bones human skull is sitting equals "600"! But, now where do we find the "66" to give the entire "Magical Symbol" the numeric equivalent to "666"? To gain this proper understanding, we need to calculate the number "322" as an occultist would normally calculate. "3x2=6; 6x2= 12; since "12" is thought to be "6+6", an occultist would understand "322" to have a numeric value of "66". Thus, adding the "600" value of the "X" to the "66" value of "322", you arrive at the total numeric value of "666". 1. The letter "X" by itself is a symbol of Antichrist. Now, you know the truth of Skull & Bones. In two ways, it symbolizes Antichrist. 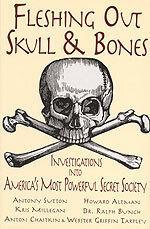 Now, you know that Skull & Bones cannot be just a fraternal "good old boys" society. Now you know this secret society cannot be a harmless society, as its goal is to produce Antichrist and his global kingdom. 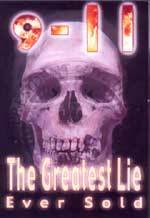 In so many articles and newsletters these past 12 years, Cutting Edge has proven that the goal of Skull & Bones is identical to the goal of the global Illuminati, which is to use America as the nation which will gradually maneuver the rest of the world into the global economy, religion, and government called the New World Order. Then, this plan calls for the deliberate staging of the Final Birth Pangs War, which they call World War III (NEWS1056). From the smoke and dust of this war, Antichrist will come striding. Soon after he arises, the final kings of the earth (they are exactly Ten - 10 right now) will meet with him to publicly transfer their power to him. That is the Illuminati Plan and it exactly conforms to Revelation 17:12-17. President Bush and Senator John Kerry both belong to a Secret Society -- Skull & Bones -- whose symbol is a "Magic Symbol" which contains the hidden, inner meaning of "666", even as it hides this meaning from the "Profane" -- You! You were never intended to know this fact, but now you do. We should not be surprised that President Bush is exactly fulfilling the Illuminati Plan, as he is a life-long Adept in a Satanic secret society whose major symbol equals "666". Truly, all signs are pointing to the reality that the End of the Age is near. Are you spiritually ready? Is your family? Are you adequately protecting your loved ones? This is the reason for this ministry, to enable you to first understand the peril facing you, and then help you develop strategies to warn and protect your loved ones. Once you have been thoroughly trained, you can also use your knowledge as a means to open the door of discussion with an unsaved person. I have been able to use it many times, and have seen people come to Jesus Christ as a result. These perilous times are also a time when we can reach many souls for Jesus Christ, making an eternal difference.